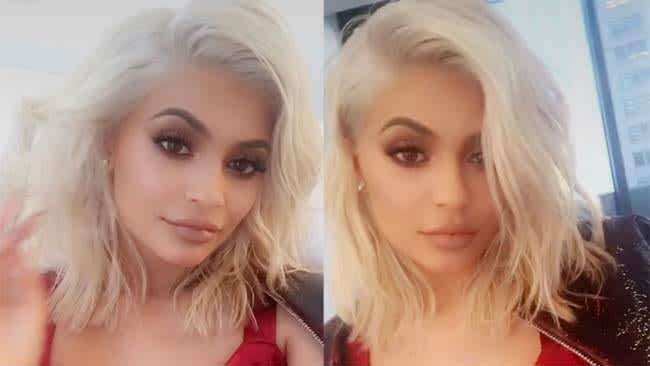 How to get the #GrannyHair trend a la Kylie Jenner | HELLO! If you search the hashtag #GrannyHair on Instagram, you'll see a wealth of women embracing the trend to go grey. There are a whole array of different shades, including gunmetal, lavender, platinum and silver-pink, and we love them all! Kylie Jenner sparked the trend in early 2015 when she showed off an icy grey shade. But what is noticeable about the reality TV star's look is that although her hair is highly coloured, it is very thick, even towards the ends. So if you want to achieve this look, you might want to consider getting hair extensions. Extension specialist Vixen & Blush adds beautiful bright blonde Russian Virgin hair and then customises the toning to ensure a perfect colour match. "Kylie's hair can be achieved by first lightening the hair and then toning it with Overtone shampoo and conditioner in Silver," says Sarah McKenna, founder of Vixen & Blush. "Then to boost the volume we add a full head of 18" hair extensions using the micro-ring method. We use the brightest blonde virgin hair, which is ready for toning for a perfect colour match."